Hooray! October 6th is ‘National Noodle Day’. 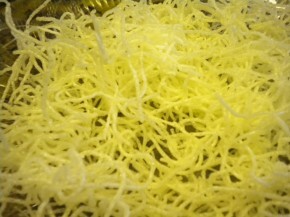 Now, who doesn’t like Noodles and who can count the number of different types of noodles there are? It seems that every time I go to the market there are another dozen different types of Noodles. The Noodle or Pasta Shelf used to be pretty blase, but every since we started importing Pasta from Italy it seems that new ones keep coming out all the time. It is amazing how many different types of pasta there are. And to think that they are all pretty much made from the same ingredients. 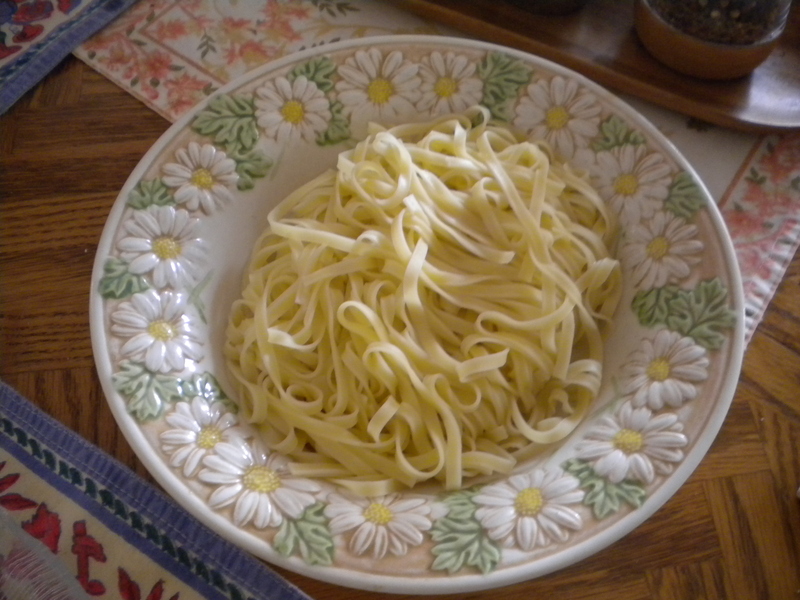 Basic Pasta is made from Flour, Eggs, and Olive Oil. 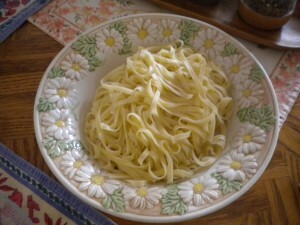 Even though most pastas are made from the aforementioned ingredients, there are a few other types. Below is a list of some of the Noodles available for purchase. There are flat noodles and round noodles. There are tubular noodles and noodles large enough to stuff. We could go on and on and never cover all the types of noodles there are. Now, when someone says ‘Noodles’ I think of Chicken Noodle Soup which is best made with very thn noodles. The next thing I think of are Asian Noodles Dishes. You can find Chinese Noodles, Vietnamese Noodles and Thai Noodles, to name a few. They are all very good. Fettucini can be used as the basis for many dishes, most notabley Fettucini Alfredo which is a Cream Sauce. Most likely unhealthy because of the fat content, but oh so good. Just don’t partake of it too frequently. Fettucini can also be dressed with a Tomato or Vegetable Sauce and is almost as good that way. The above dish is a Steak and Mushroom dish made with short but curly Egg Noodles. 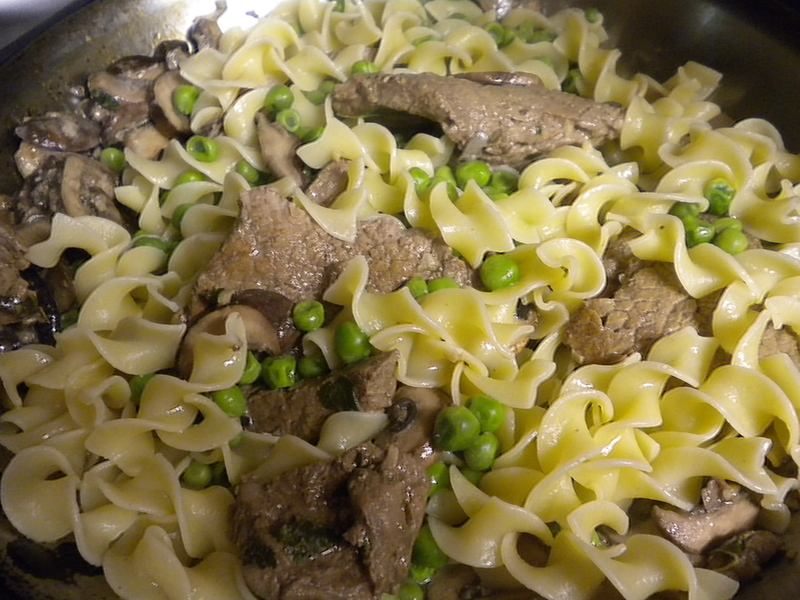 This is a good way to use leftover meat. Mai Fun Noodle sare a very thin Rice Stick which can either be soaked in hot water to serve with soup or it can be fried to serve with dishes like Mongolian Beef. (shown below) Frying Mai Fun Noodles is especially fun for children to watch because they puff up almost instantly upon being put into the hot oil. The key to get them to cook properly is to have the oil hot enough so that they will puff up immediately, but not so hot that they will crisp before they have a chance to puff. The oil temperature should be around 360 degrees for ideal puffing. 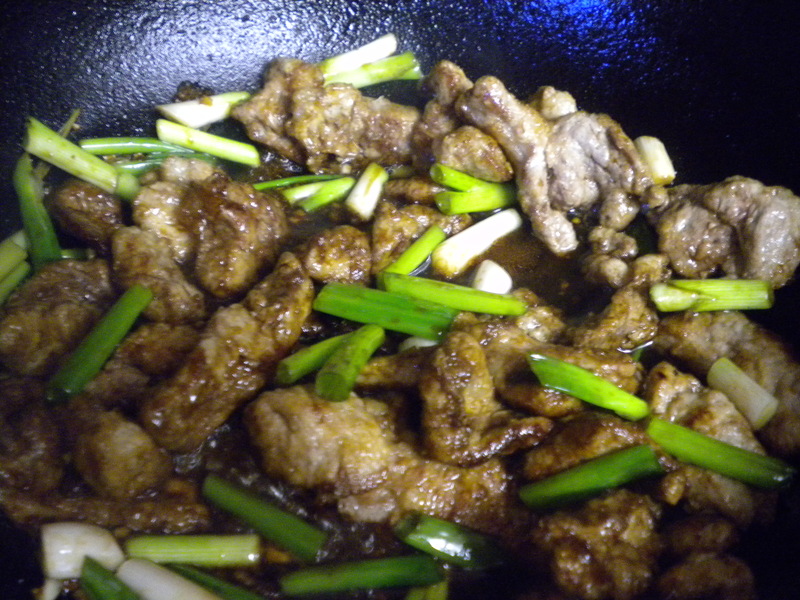 Mongolian Beef, shown at right is made with Beef Steak, and Scallions and is seaonsed with Hoison Sauce, Garlic, Soy Sauce and is usuallyserved on top of fried Mai Fun Noodles. This is a favorite dish of mine. Last, but not least, is a dish that people either love or intensely dislike. 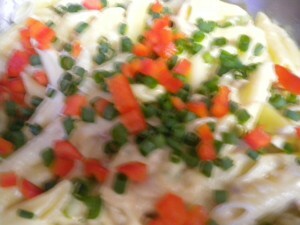 This is the All-American Tuna Noodle Casserole which is traditionally made with Cream of Mushroom Soup. The one shown above is make with a Cheese Sauce similar to that used for Macaroi and Cheese and it also has Baby Peas and dieced Red Bell Pepper added for color and flavor interest. Try some different Noodles today and give yourself a taste treat. If you are close to a Vietnamese Restaurant, do try some Pho. Pho is a dish of Noodles in a broth which can contain a large variety of meat and vegetables. Pho is a whole meal initself and is quite delicious!